I have done more than a few of builds and reviews at this point. Some of those build have been lovingly parted together with individually selected components while others have been ready-to-assemble kits. 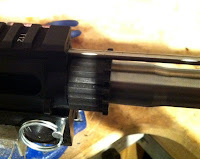 Beyond those builds, a few of the featured upgrades and reviews have required the removal/attachment of barrel nuts and all have required a helping hand. 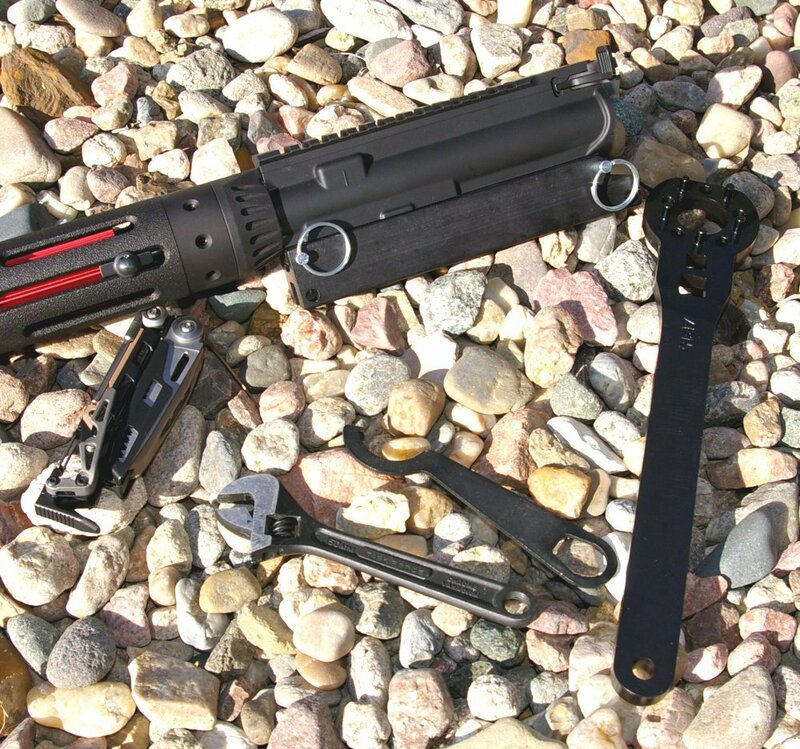 Recently I added a very handy PRI AR10/AR15 Upper Assembly Vise Block and beefy PRI Armorers Barrel Nut Torque Wrench to my AR tool bag of punches, hex wrenches, Leatherman MUT, and DPMS buffer tube castle nut wrench. PRI is most notable for their carbon fiber forends which I reviewed previously as well as their scope mounts, but they offer a number of other accessories and tools for the gunsmith and builder. For an AR builder, a great barrel nut wrench such as the beefy PRI version is a necessity, but I would say the PRI Upper Vise block is of equal importance. Loosening and tightening your way up to proper gas tube alignment and the correct torque range is tough enough when you have the leverage, however the upper has to be fixed to something. 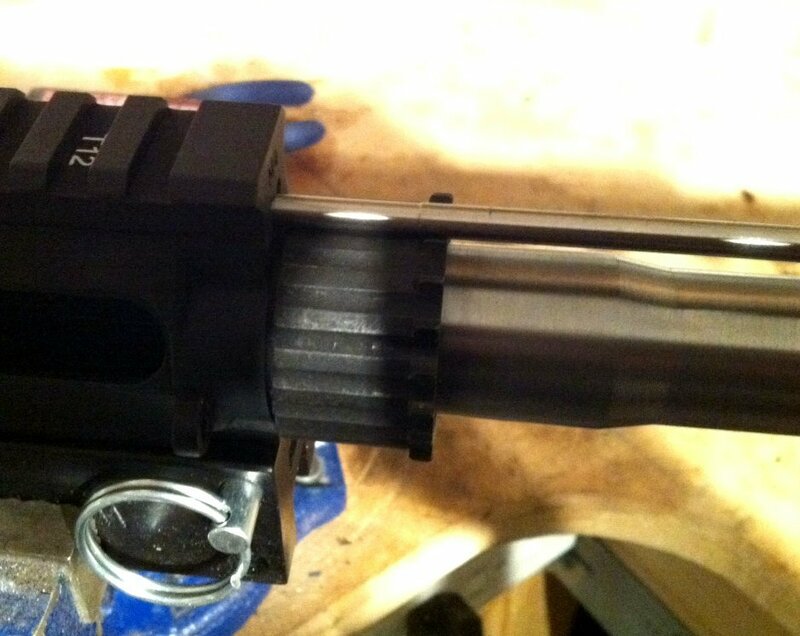 We all start with a vise mounted 1x4 block of wood, however that is neither ideal or safe for the upper receiver. The billet aluminum PRI AR10/AR15 Upper Assembly Vise Block delivers a safe way to mount your upper to a vise. Personally I have found it completely indispensable to safely secure the various uppers I have worked on. The Upper Vise Block is simple to use and pins to an upper just like any lower, but instead can be safely and securely clamped in your bench vise. For my AR10/308 platforms I can just flip the vise block over and have one tool versatile enough for any AR build. The PRI AR10/AR15 Upper Assembly Vise Block provides that third helping hand we all need while working on our ARs and is indispensable while installing barrels, optics, sights, and forward assist assemblies and considerably safer than the block of wood I was using previously. The 1.3lb, ½” thick PRI Armorers Barrel Nut Wrench allows you to deliver plenty of torque without a torque wrench, but if you want to use one both ⅜” and ½” socket head squares provides you with plenty of flexibility for torque wrench use. The five alloy steel pins fit securely and precisely in all type of barrel nuts and has yet to ever slip off, which is more than I can say for a cheap wrench I had earlier. Once you build your first AR kit, chances are you and your buddies will build many to come. Sure you can assemble an AR with a castle nut wrench, a block of wood, and a punch, however it will be easier and look better with the right tools. 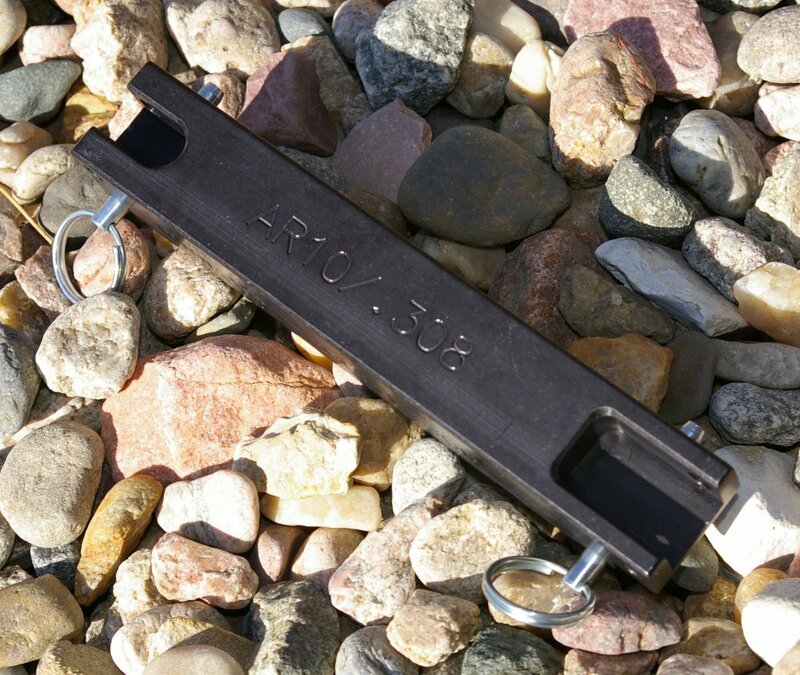 Generally most upper vises are made from nylon and cannot be used from barrel installation, but the PRI Upper Vise Block is made from billet aluminum and can be used for barrel installs if you are careful. 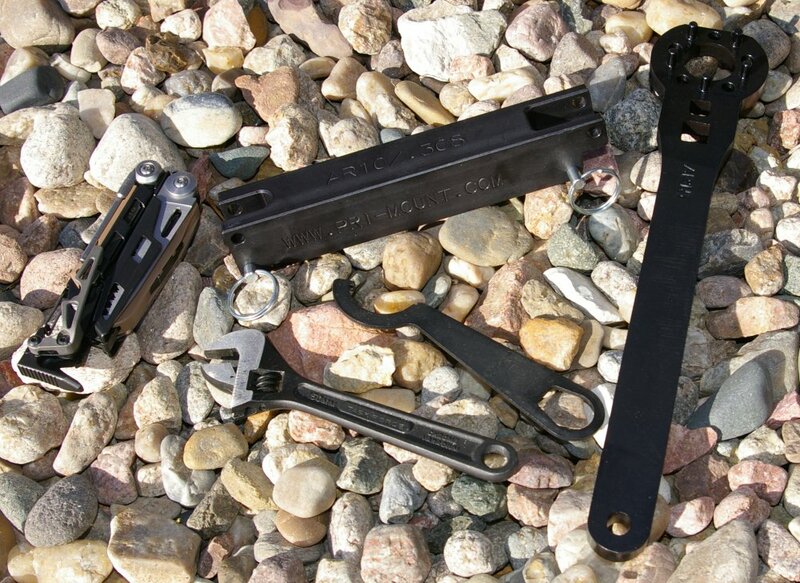 The PRI barrel nut wrench is the beast of the barrel nut wrenches, is well made, does not slip and provides simple barrel installation with or without a torque wrench. The PRI AR10/AR15 Upper Assembly Vise Block and Armorers Barrel Nut Wrench have proven to be indispensable for my various AR builds and upgrades to the point I now find my self standing in from of my vise every time I am even swapping sights. Who would have thought that a barrel nut wrench and upper vise block would be so handy. 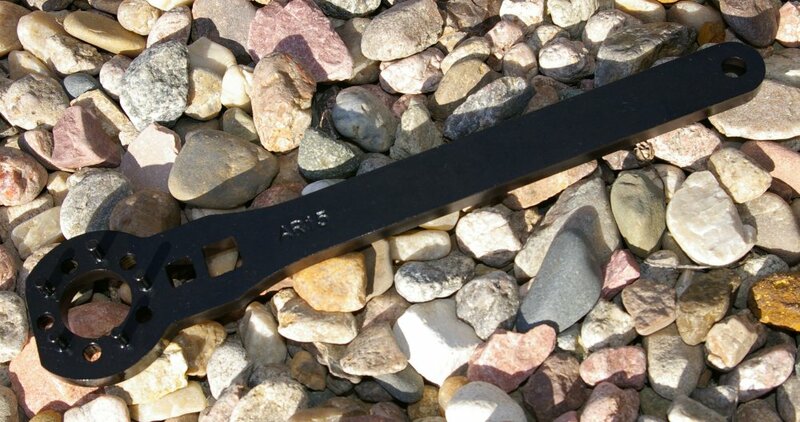 This wrench is designed to work on all mil spec. The wrench has additional holes between the pins to help get the proper alignment of the gas tube. 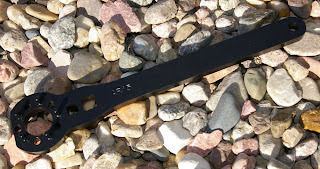 Inner Diameter of the wrench is 1.2"